The Wall Street Journal brings us up to speed on the efforts of Gary Gensler and the CFTC to drastically limit the leverage available to retail currency speculators:The Commodity Futures Trading Commission has proposed rules that would reduce the amount of borrowed funds that retail investors can use when investing in the U.S. foreign-exchange market to as much as 10-to-1, from the existing 100-to-1 for major currencies. Under current rules, a customer putting up a security deposit of $1,000 in cash will be able to trade a notional amount of $100,000, a common contract size for currencies such as the dollar and the Japanese yen. The new rule would cap that amount at $10,000. Let’s be clear here. 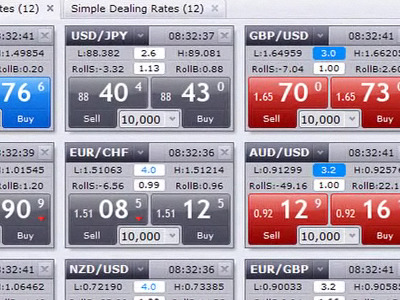 This isn’t about limiting retail forex trading, it’s about killing retail forex trading. See when you’re talking about currency, there’s really nothing to get excited about if you can’t leverage out the wazoo. When a move of a few hundredths of a cent is considered a notable move, 10x leverage is boring and hardly worth the effort. This week lawmakers grilled Gensler, and were concerned that if this happened, trading would simply migrate overseas. This will undoubtedly happen, at which point the only natural response will be to ban US punters from putting money with London (or Gibraltar or Bermuda) based shops, just like forex.